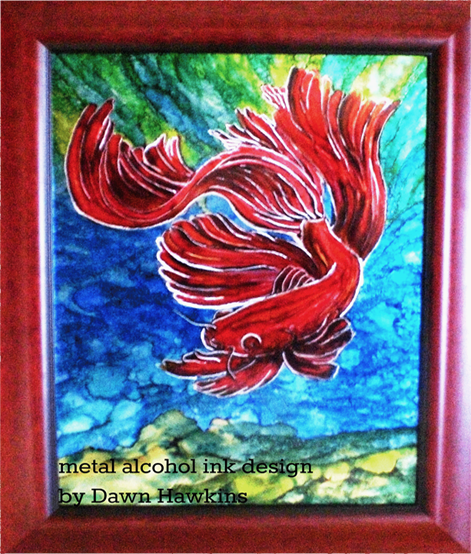 Dawn Hawkins is an East Tennessee mixed media artist. Inspired by the beauty of the outdoors, from the water of the lakes and oceans to the mountains. Dawn creates one of a kind designs. 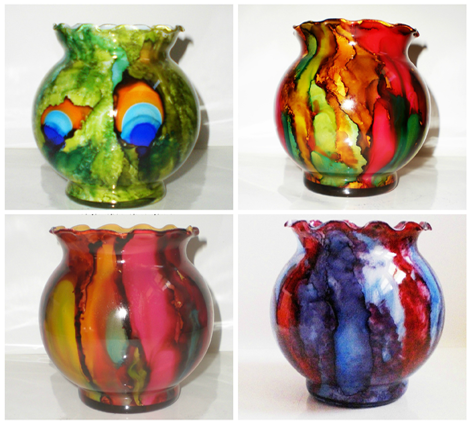 Designs include hand painted glass vases and candle holders, decorative ceramic tiles, canvas paintings, painted designs on metal, wood and slate. 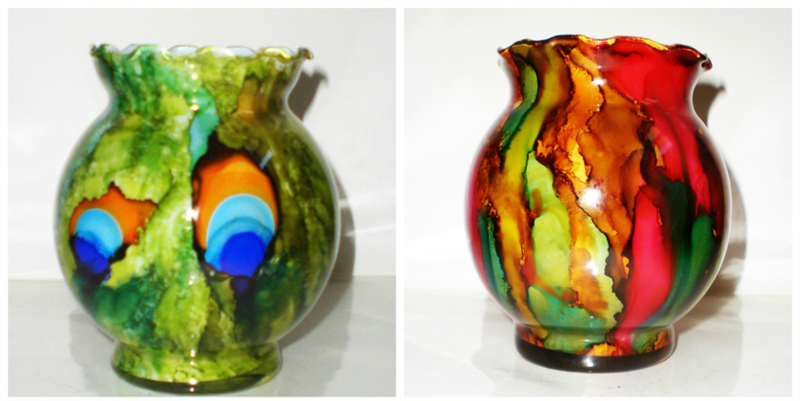 Dawn also designs custom glass urns that are inspired by your loved ones fondest things during their life. Dawn takes deep pride in her work and believes strongly art is in the eye of the beholder. When someone chooses one of her pieces it is truly a joy and honor. 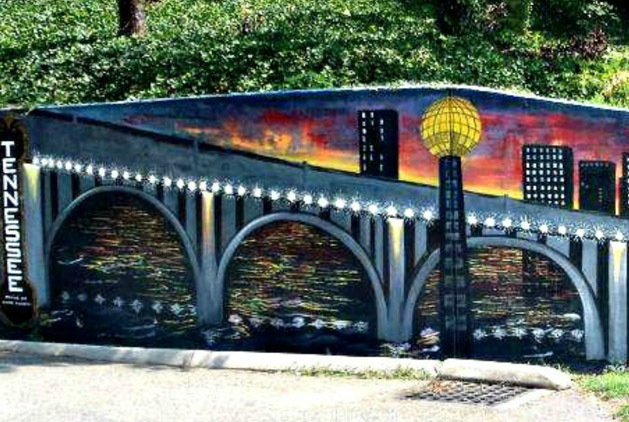 Dawn’s artwork can be found in several Knoxville area shops and galleries, and also in galleries in the Tampa, FL area. Dawn was previously the art director at Gallery 133 and is an artist member in the Gallery Nuance. 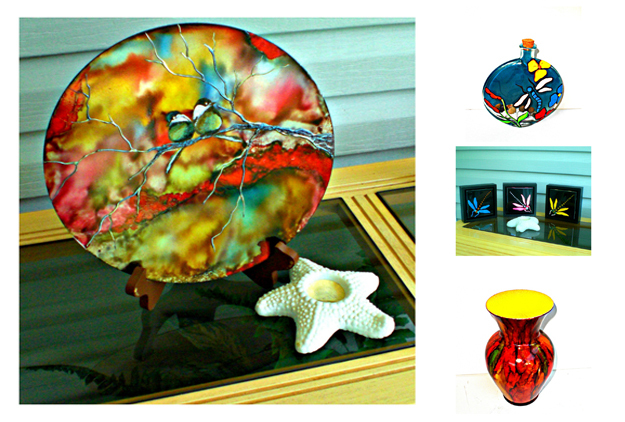 Since 2009, Dawn has completed over 2000 completely custom, commissioned works of art. She would love to complete one for you as well. All hand painted designs on canvas, decorative tile, glass, metal, plastic and wood are unique and created from the HeART. 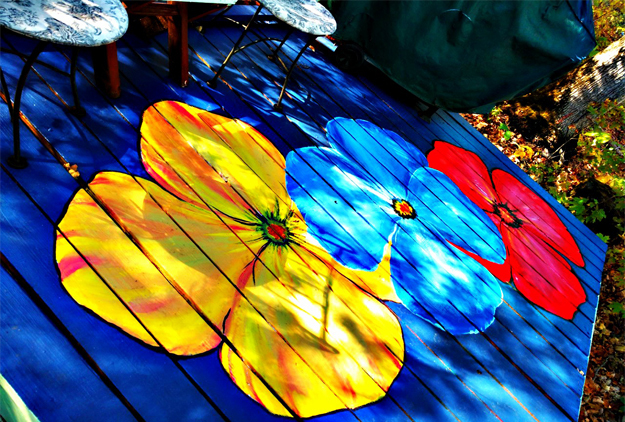 Transform your deck, shed, fence or door from drab to fab with a custom mural! Dawn will work with you to create a special design that fits your space. Transform any space with a uniquely designed, completely custom mural. All of Dawn’s murals are painted with acrylic and are priced by the square foot. These are created with alcohol inks and the subject has been engraved into the metal. 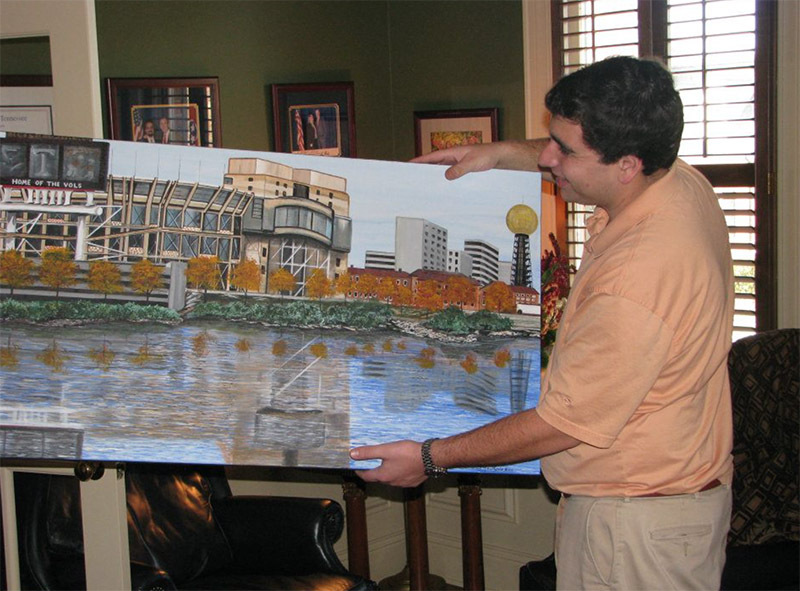 They comes framed or unframed, ready to hang and are 16×20, but can create a design on smaller pieces of metal. Comes with a high gloss finish and are made to order. These beautiful candle holders are hand painted with alcohol inks (any color can be chosen) on glass with glitter inlay that sparkles through to the out side of the candle holder, a high gloss finish, bold bright colors, and sealed for protection. ORDER YOUR CUSTOM PIECE TODAY!